Color grading is an essential part of working with photographs, especially if you want them to look their best. Whether you are a photographer or a graphic designer, learning how to work with color grading is essential to create the most professional images possible. With the ample amount of resources available on the internet, finding an array of color grading tools is simple and either free or quite cost effective. What is Color Grading? When you work with a color grading software tool you will be able to change the colors that are shown in a picture. You can choose whether you want to make a stark contrast or if you want to make a minimal difference, such as working with white balance. At times you may notice that the colors in your picture are already perfect but you can still work with them to show your creative expression. You can also use color grading in video clips where you can vary a color palette for an intentional impact. In fact, the mood of your narrative may depend on the colors that a particular scene has. For example, you can use certain colors to emulate a bleak and dreary setting or you can use certain colors to make a scene seem happier and more lively. 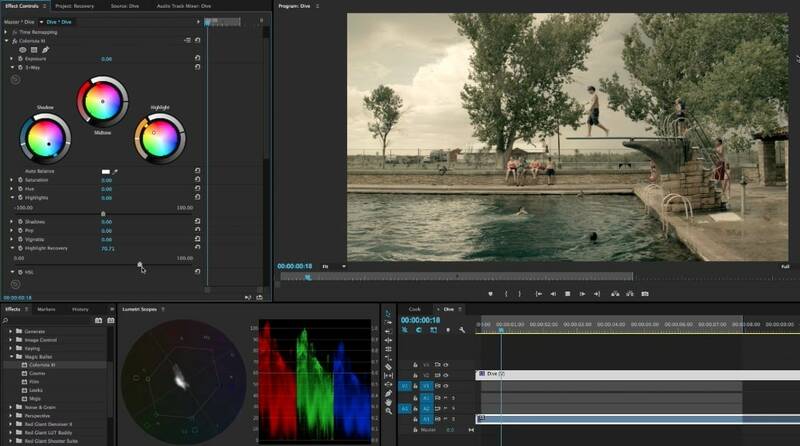 In this article, you will learn 10 best color grading software to use. Even though it may sound simple, color grading can take a lot of time and if you're charging clients by the hour it can also be expensive. You may not want to use an expensive color grading software if you're starting out and a beginner. Whereas if you're being paid a significant sum of money, taking your time with a professional program is advised. In most cases designers and developers will take the client into account as the sole factor for deciding what color grading tools to use. If you're not charging your customers for color correction you can simply rely on built-in color grading tools or plugins instead of booting up your favorite program. Time is money, so choosing the most efficient and professional method is your best bet. Check the top 5 best 4k color grading monitors if you want to make a more precise color grading. If you are editing videos on Mac, you can consider the the top 10 best 4k monitors for mac. 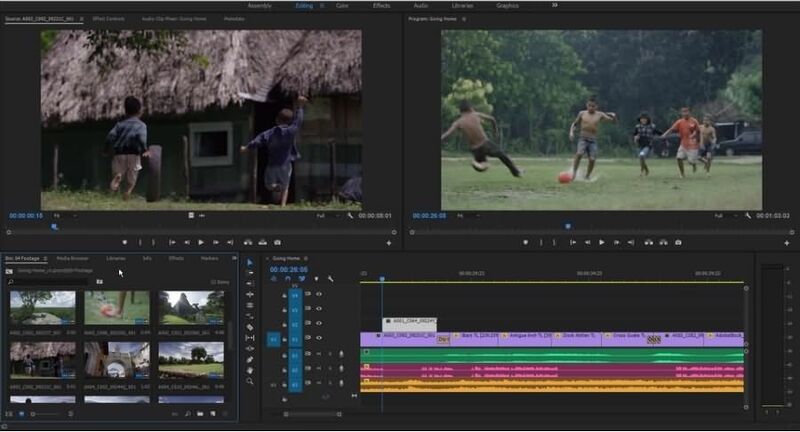 FilmoraPro is a video editing software that empowers you to create professional-looking videos easily with compositing, motion graphics, special effects, color correction tools, and more. It is both powerful and easy to make color grading. You can adjust the color value precisely with the color scopes like Parade, Vectorscope, Histogram, Waveform. As another free color grading software tool, Red Giant is known amongst the filmmaker community as they have been around for many years. Colorista Free is a great program that gives you 3-way color correction and a variety of different inputs. 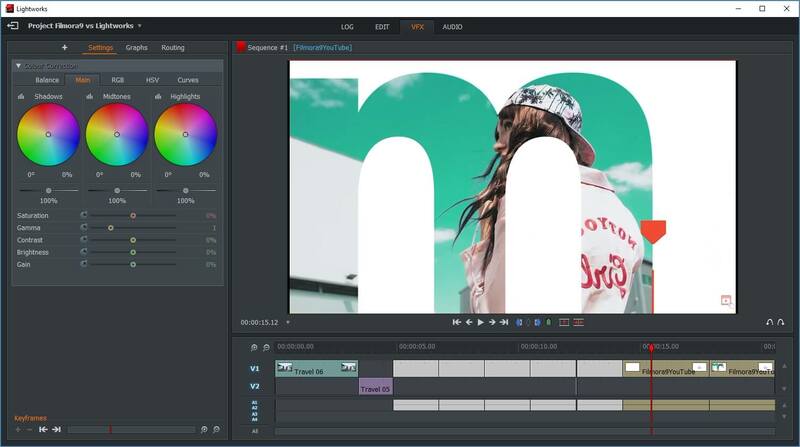 If you're using additional programs such as Adobe Premiere CC you will be able to use Colorista Free as a secondary correction tool. You can also take a look at Colorista II for $199 as a plugin for After Effects. Check more detailed comparison information between DaVinci Resolve and DaVinci Resolve Studio. Color grading is essential not only for setting the mood of a specific project but to also make sure that the project is able to look its best. If you don't have a lot of experience with working with colors, it is advised that you try the free programs first to get an idea of how it works. Once you have gathered enough experience, you can consider buying your own software such as DaVinci Resolve 12. For the Mac users out there, Final Cut Pro X is one of the finest color grading software that offers high-edged specs for the pro editors. With its intuitive layout and easy-to-accomplish features, Final Cut Pro X signatures a club of dedicated color grading tools including color wheels, color curves, keyframes and customizing hue/saturation curves in a hassle-free manner. Whatever edits you make, there is a provision of viewing it in the Comparison Viewer to gain insight of the reference images while dashing effects and has an excellent Look up Tables that showcases consistent appearance of the project. After FCPX, VEGAS Pro is famously rejoiced professional video editing tool, essential for its useful tool. This is one of the considerable means of enhancing any kind of video, customize TV shows as well as the music videos accordingly. Vegas Pro has some of the well-coveted features such like making 3D titling, compositing, dashing an air of visual special effects and draw compositing. And the list does not end here, VEGAS Pro gives its users the power of enjoying granular content to fetch a high-edged quality videos. Moreover, this color grading software allows users to enjoy sculpting DVDs, Blu-ray discs effortlessly. If your budget is running on a low key angle then the need of editing can be satiated by this simple and useful tool. Lightworks is certainly one color grading tool easy-to-do tooltips to process to get commendable videos. It has a visual effects that are quite easy to us. So tweak every angle of the image and takes goof care of degree of detailing. Filling in the colors and maintaining optimum balance for the same can be done in a fruitful manner. Lightworks even has an assured ability of tuning titles to set exact pixels for orientations, customize shadows and look after several other aspects. 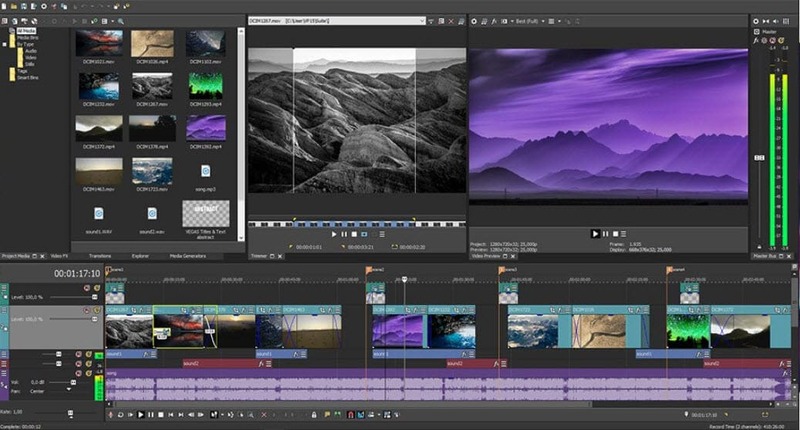 The last but definitely not the least, Magix Video Pro X is one of the reliable color grading software. It is packed with an amazing streak of professional features such as Chroma key (green screen), 3 editing tools, video stabilizer as well as the masking tools etc. Moreover, it even supports conversion of file formats and guarantees high resolution screening without a speck of pixilation, compression artifacts and motion blur etc. Additionally, Video Pro X can be used for tracking down titles, text and graphics as well as customize levels of pixels on face or license plates to make them undecipherable.